This article explains how to power the Pixhawk. 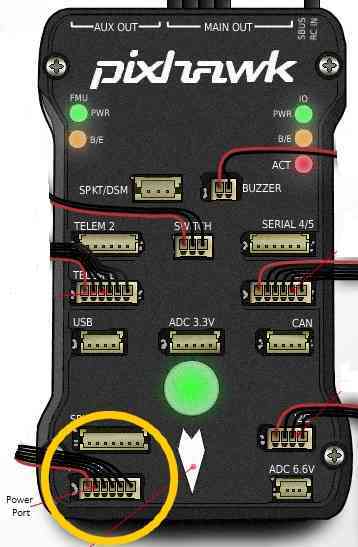 For most users powering the Pixhawk is as simple as connecting a 6-pin DF13 cable from one of the supported power modules into the Pixhawk’s “Power” port as shown below. The module will provide a steady ~5V to Pixhawk and allow the Pixhawk to measure the current and/or voltage of the main battery. Depending on the power module you may also have connections to provide backup power and power to supply the servo rail. The type of power module also determines what size batteries can be used (most multicopters draw less than 20amps when hovering and rarely consume more than 90amps at full throttle). Pixhawk does not supply power to the servo rail. Powering the servo rails is normally done by an ESC or alternatively a separate source such as a BEC (as shown in the wiring overview below). Some power modules explicitly provide support for powering the servo rail, backup power and support for larger batteries. Using this sort of module means that you don’t need to think about most of the wiring issues discussed in the rest of this article. Pixhawk supplies power for an RC receiver if that receiver is connected via a 3-conductor servo cable to the RC connector on the Pixhawk. If that receiver is also connected to the SBus port on the Pixhawk to communicate an analog RSSI signal via a 3-conductor cable, there is an opportunity to inadvertently power the servo bus from the primary PixHawk power input thru the radio. Some radios (e.g., FRSky) will pass power received on their RC output cable out on their analog RSSI port. 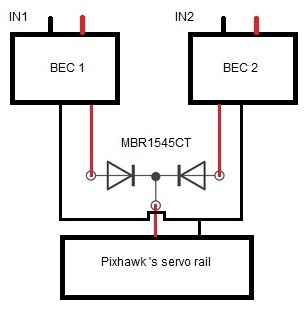 And the PixHawk servo-rail power bus includes the SBus +5v pin. Removing the center conductor from the RSSI monitoring cable will avoid powering the Pixhawk servo bus from the wrong (or from multiple) voltage sources thru the RC radio receiver. Pixhawk can be powered off the servo rail instead of from a power module. This is achieved by connecting a 5V BEC (with or without a servo) to a power (+) pin and a ground (-) pin of the “MAIN OUT” or “AUX OUT” pins. You must also add a Zener diode (part number 1N5339) to condition the power across the rail and restrict it to less than 5.7V. This method can also be used as backup power for Pixhawk when using a power module. If the voltage provided by the power module falls too low (4V? ), Pixhawk will take power from the output rail. See the voltage ratings section below for more information on powering Pixhawk. The servo rail can supply servos requiring up to 10.5V (but not also power the Pixhawk). Voltages above 5V cannot be used to power the Pixhawk via the servo rail. In this case the Zener diode must not be used. The block diagram below synthesizes an overview of Pixhawk’s power and ESC wiring. In this diagram, a 3DR power module (or equivalent device) powers Pixhawk through its power port (primary source). One power source is enough but obviously not redundant if the power module fails to power this primary source. Therefore the diagram adds a second backup power source via a 5V BEC that wires to Pixhawk’s output servo rail. If the primary source fails, Pixhawk will automatically switch to this second power source. PDB = Power Distribution Board. PM = pixhawk power port. PM/Atto = optional power module from 3DR or Attopilot alternative for higher than 4S battery voltages. Looking for a detailed explanation of power wiring with Pixhawk? 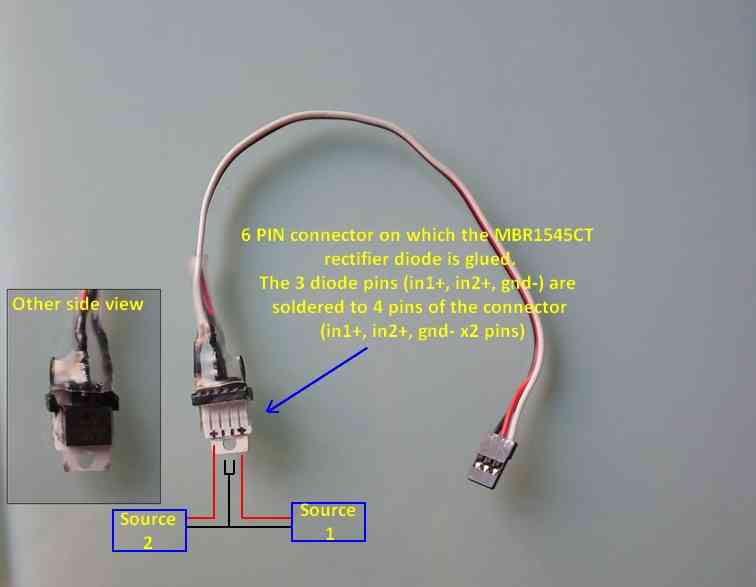 Click here for more information about connecting ESCs and servos to Pixhawk. Always connect a ground reference wire with your ESC’s signal wires on the Pixhawk servo rail (output ports 1-8). Indeed an ESC’s signal wire should never be left floating without its ground reference (THERE IS NO SETUP WHICH WOULDN’T REQUIRE SIGNAL GROUND TO BE CONNECTED). It is dangerous to power the Pixhawk only from the servo rail, especially with digital servos. 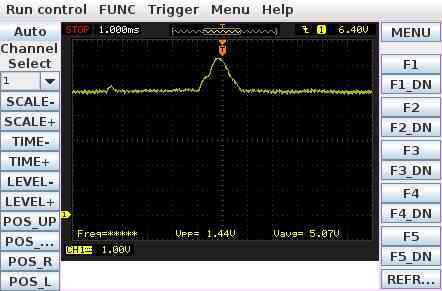 Servos may cause voltage spikes (as shown on illustration below that shows the servo rail voltage on an oscilloscope when a single digital servo attached to a Pixhawk is moved rapidly ). The key thing is that the digital servo causes the voltage on the rail to rise above the critical 5.7V level. Above that level the Pixhawk power management will cut power to the FMU and the Pixhawk will reboot. If that happens when flying you will lose your aircraft. It is up to the user to provide a clean source of power for the cases when it is powered off the servo rail. Servos by themselves are not quiet enough. Adding an external Zener is a recommendation specifically for systems that are using 5V servos and have the servo rail configured for back up power. 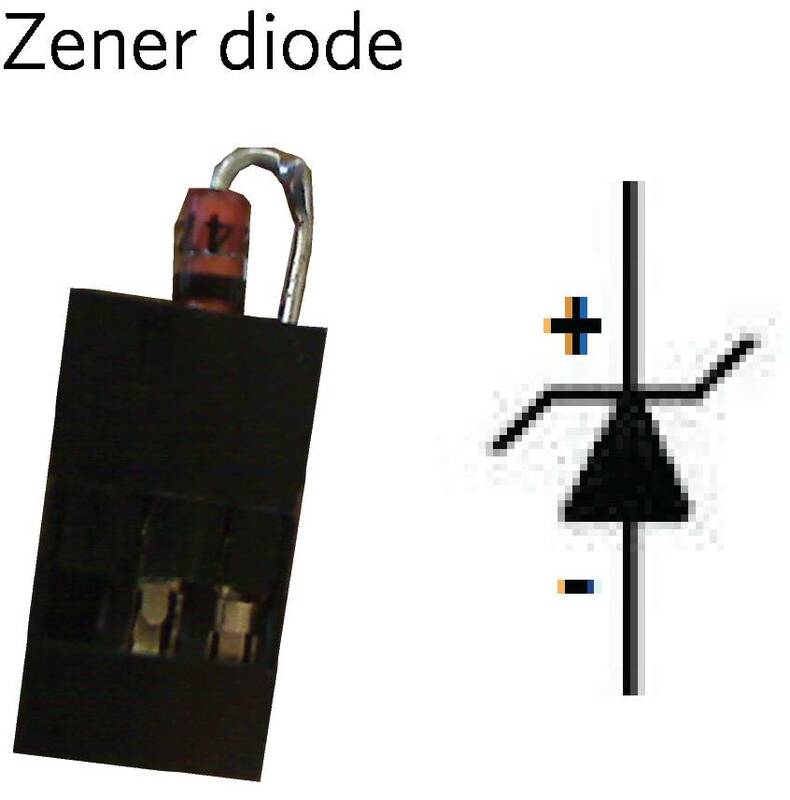 Connect the recommended Zener diode with its polarity as indicated on the diagram. Use as short wires as possible or even better, use a standard 3 position JR servo connector with the diode legs directly inserted (and soldered) in the servo female pins. To complement the diode, it is also useful to add a capacitor in parallel to the diode. The capacitor will smooth out eventual voltage ripples. As advised for the diode, the capacitor should be connected with as short wires as possible. Do not oversize the capacitor. This section explains how to set up triple redundant power sources (power module as primary, with two backup BECs). Under these conditions all power sources will be used in this order to power the system.